Prevention of disease and timely treatment should one of our children get sick is something we believe in and act on. 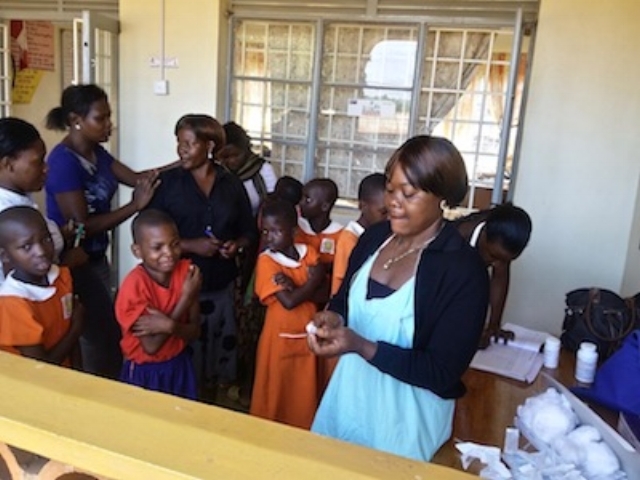 A vaccination clinic for typhoid and de-worming was recently held at Stand Tall. A government sponsored nurse came to the school and vaccinated all of our children over 13 years of age. We will also soon be training our staff in testing for malaria. A rapid detection kit for malaria has been developed that diagnoses and treats malaria quickly and effectively so that within hours a child is treated and can return to school. This is a huge improvement over the typical absence of 7 to 10 days with traditional diagnosis and treatment.